Brent Wachter: A sample of what I like to do and the process. 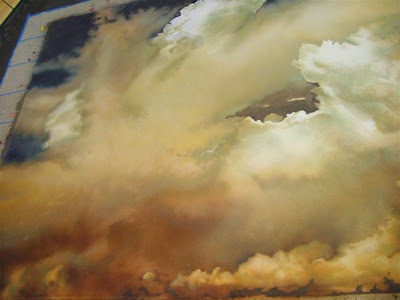 See my Pages for more Painting, Design, Movie work and more! 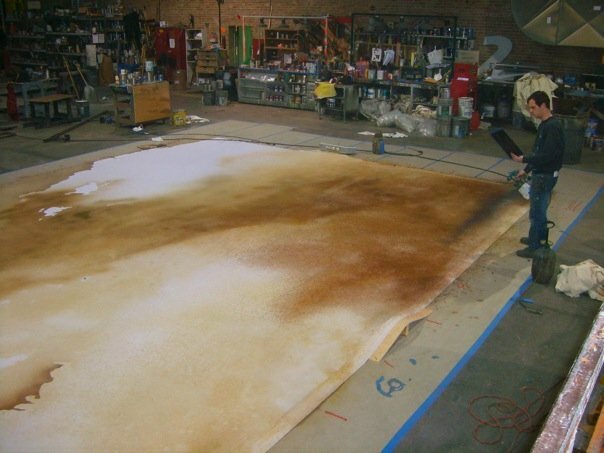 Scenic artist and designer creating for movies, tv and theatre. 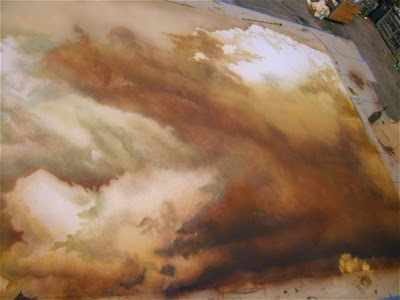 A sample of what I like to do and the process. See my Pages for more Painting, Design, Movie work and more! 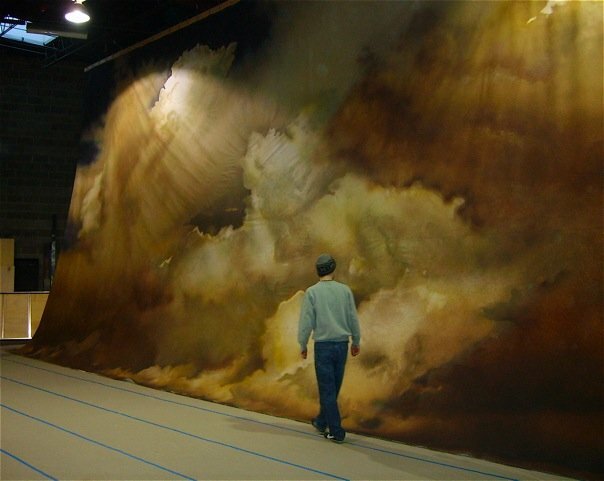 Miss Saigon cloud drop for Drury Lane Theatre, 2008. 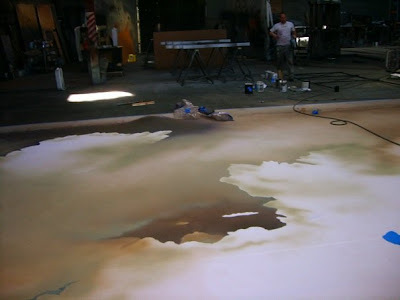 Drop is done, lifted off the floor and lit from behind to check the transparency. That's me there. Stage left side. Pic taken from a very tall ladder. Stage right side. Happy with those crispy whites. The two of us on this project were given this rendering. 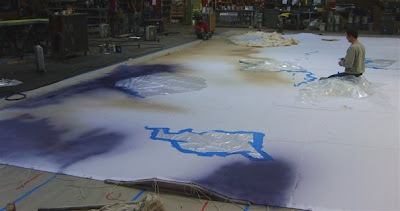 Masking is important for the transparency to work. 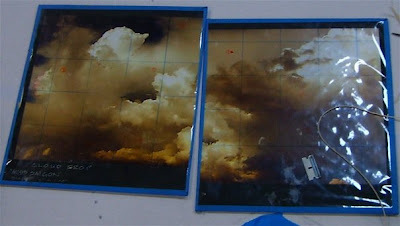 It's nice to take off the masking to see the clouds taking shape. Masking and string grid up, painting progresses. HVLP sprayers, no brushes. You can even rent this drop from Drury Lane Rentals!